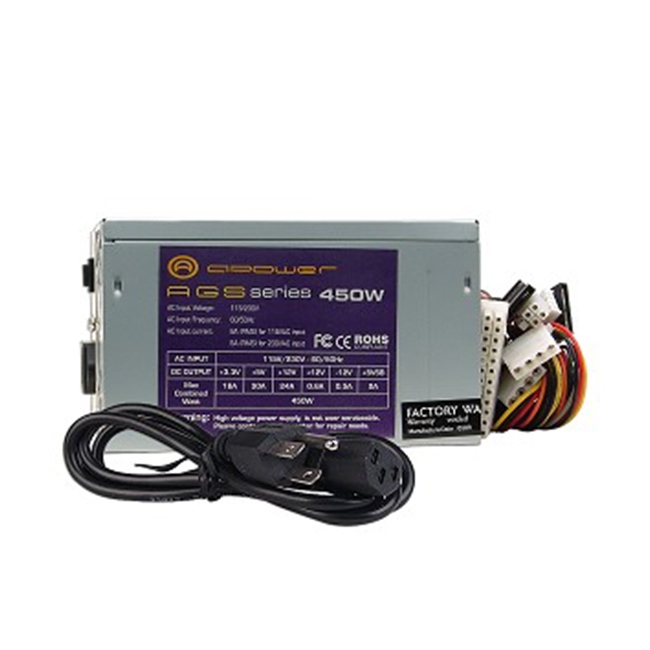 This A-Power AGS450 features a 20+4-pin ATX power connector, three large Molex power connectors, one floppy connector, one 12V power connector and a three Serial ATA (SATA) connectors! Keep cool under pressure with the dual 80 mm fans that operate at near whisper-quiet levels. 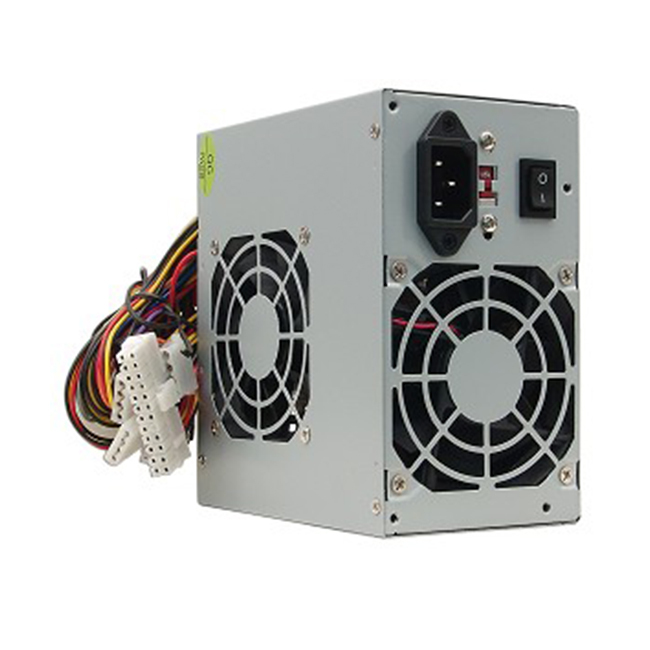 With the dual +12V rails you can keep your computer safe from overheating ensuring a longer life for both your computer and the power supply. • We ship UPS/USPS/FedEx/DHL depending on your location and at our discretion. • Most shipments are sent out within 1 business day after payment is confirmed or cleared, unless stated otherwise in the listing. • Buyers are responsible for complying with all import and export obligations and for payment of all applicable duties and custom fees. • Orders shipping to Hawaii, Puerto Rico, Guam or Alaska may not select the Free Shipping option for this item, if free shipping is selected for one of these destinations we reserve the right to cancel your order. • We offer a 30 day return policy on all items. (unless stated otherwise in the listing). • Video games must be returned unopened. If the item is defective, it can be returned within 15 days with a receipt and the original packaging. Defective items may only be exchanged for the same title. • 10% restocking fee may apply. • Please allow 3-5 business days after we receive your package to process your return. • We take joy in helping you get the gear you want at at the price you need! • Please don't hesitate to contact us with any questions or concerns. • Please note that most of the product images and description are provided to us by the manufacturer and sometimes do not represent the exact color, size, style or other option of the actual item.